Abstract: Several scholars have studied the explicit (tangible) costs of the ecclesiastical buildings constructed in the High Middle Ages. However, no scholar has examined the implicit (opportunity) cost of unskilled labor required for their construction, or tried to estimate the total cost of their building as a percentage of regional GDP. Introduction: During the High Middle Ages, Western Europe was plagued with famine, disease, and dismal economic growth. Population was increasing at a rate faster than the (Maddison, 2003), leaving the average person experiencing declining levels of sustenance every year. 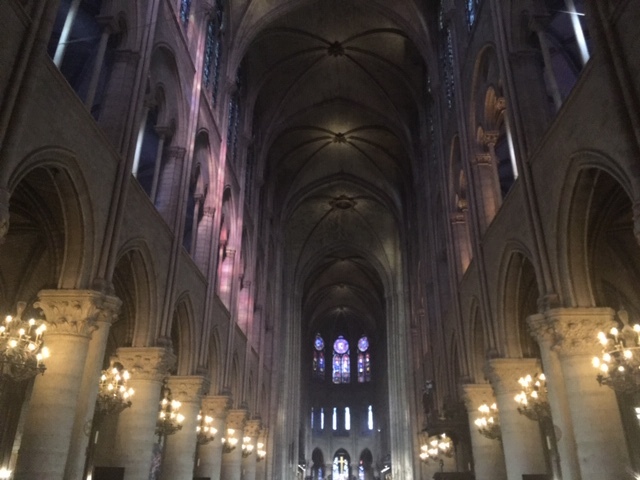 However, during the period known as the High Middle Ages, between 1100-1250, the Catholic Church built over 1400 Gothic churches in the Paris Basin alone. The lavish ecclesiastical building campaigns of the Church represented a portion of the GDP for the region, but what percentage of GDP does this building campaign represent?